Happy New Year from TVMF! In January, we kicked off our 40th Anniversary year with 40 Days of Giving back to the supporters, students, and veterinarians who have contributed to our success! Every day, for 40 days, we featured a fun giveaway on the TVMF Facebook page featuring TVMF t-shirts, mugs, or items donated by our community partners. 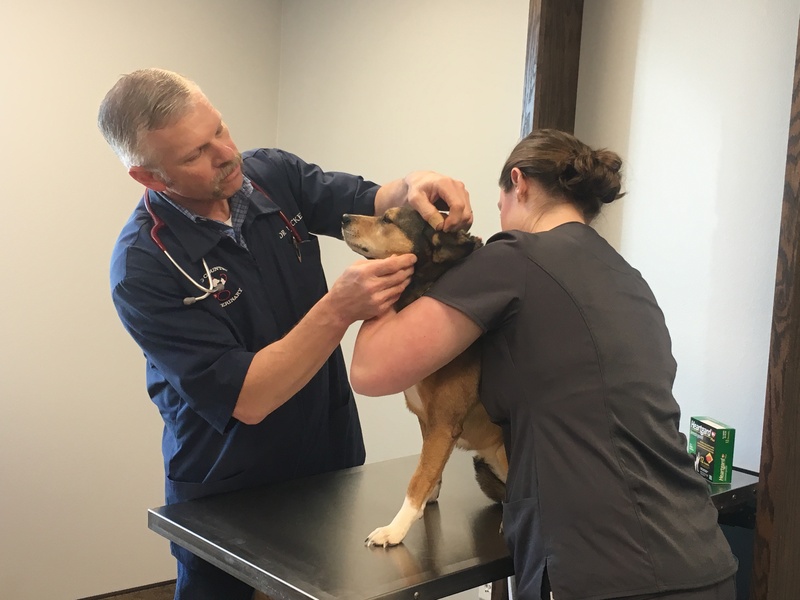 In March, the TVMF PALS program launched in Abilene, TX through the partnership of Meals on Wheels Plus, Inc. and Dr. Russel Ueckert of Big Country Veterinary Clinic. This program got off to a great start in 2018, treating more than 30 pets last year, with plans to treat 75 pets in 2019. 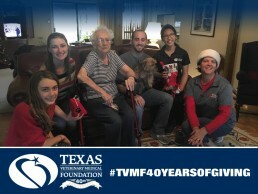 In April, TVMF joined students at Texas A&M College of Veterinary Medicine & Biomedical Sciences for a discussion on incorporating philanthropy into veterinary practice. Meeting the next generation of veterinarians and hearing their passion, not only for veterinary medicine, but for giving back and making a positive difference in their communities, was truly inspiring. The future of the profession is in great hands! In May, we reached out to you and asked for your help treating Gracie, a heartworm positive service dog belong to one of our Abilene TVMF PALS clients. Through your generosity, we were able to raise the funds needed and start her treatment. Gracie’s treatment went well, and she is continuing to serve as companion and service animal to her owner, Reggie. 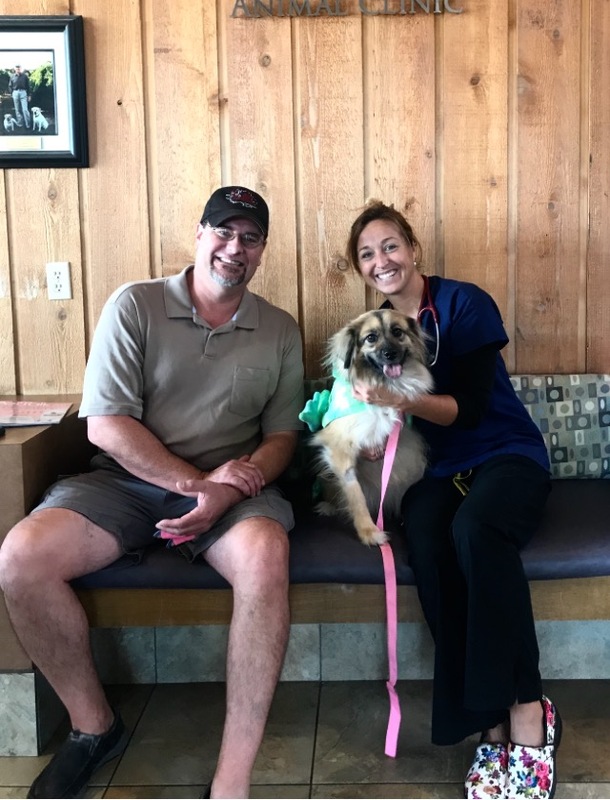 In September, TVMF awarded a Rusk Veterinary Assistance grant to James G. and his dog Padme, after they were both injured by a neighborhood dog. James’ hand was broken as he tried to break up the fight, and Padme’s leg was injured so badly it had to be amputated. Overwhelmed by both of their medical bills, James wasn’t sure how he would afford Padme’s treatment. 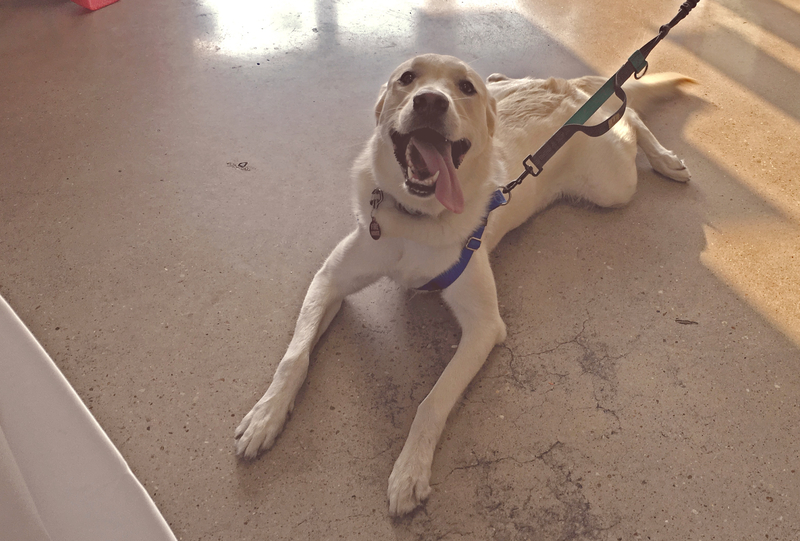 With the Rusk Veterinary Assistance grant, Padme was able to get the surgery she needed, and she and James are getting back to their routine. As we look back on 2018, I am so grateful for all that you have helped us to accomplish, and I cannot wait to see what 2019 will hold!